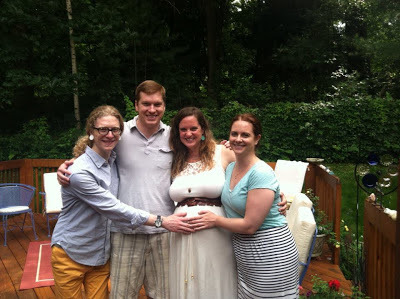 A couple weeks ago, we threw a baby shower for my step-bro and sister-in-law (see their wedding). 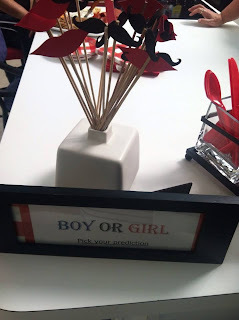 She is due in November, and it's the first grand-kid for my step dad (and my mom), so needless to say we were all excited when the parents-to-be decided to reveal the baby's gender and name at the shower. My mom and I had just 3 weeks to plan it and got to work scouring Pinterest and Paperless Post. It was a his & hers shower, so we went with food & decor to please both. 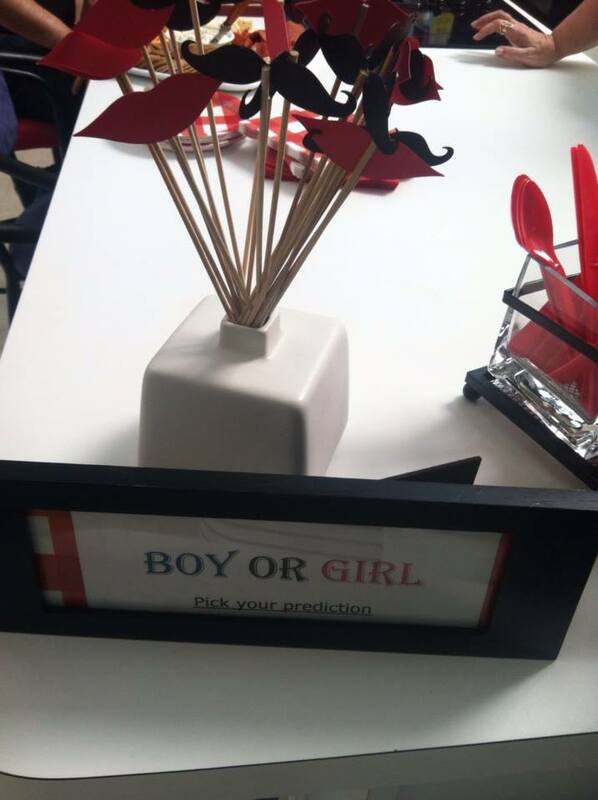 Guests arrived and chose their team: mustache or lips?! I was team mustache. 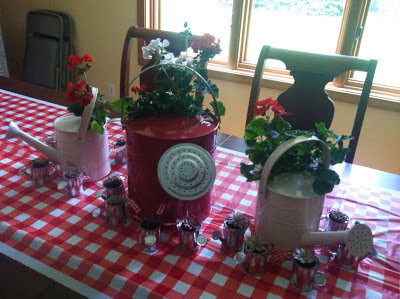 The table decor of watering cans & gingham runner matched the invitation. 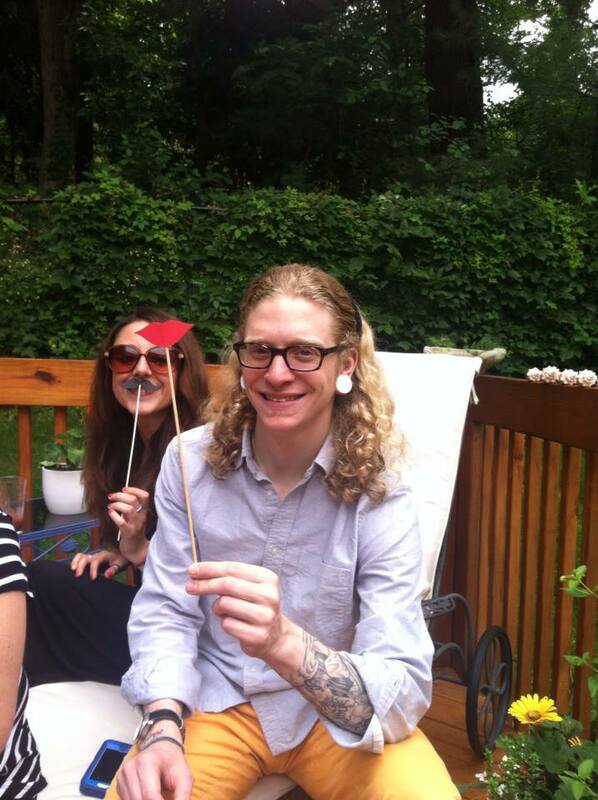 My brother and his girlfriend choosing sides. We ordered cupcakes and the mom-to-be called the baker to insert blue or pink frosting...then we all took at bite at the same time....it's a boy!! 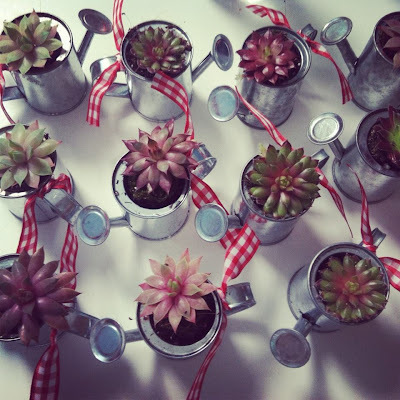 To save time, we ordered these succulents in mini watering cans then added gingham ribbon ties to each. My brother and I showing love for the baby! Ryder, we all cannot wait to meet you this fall! 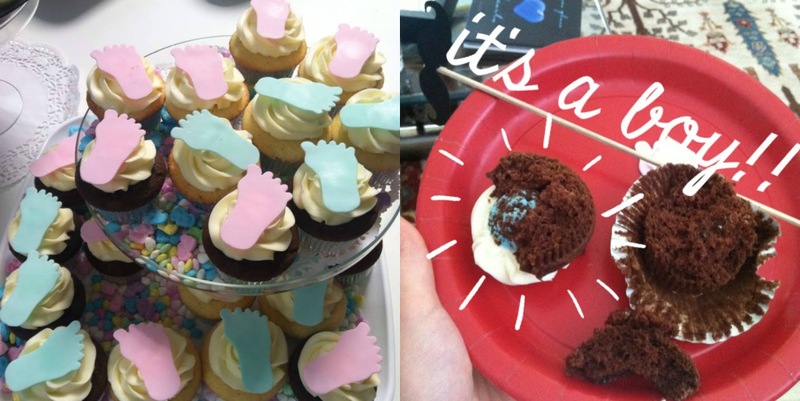 the gender reveal inside the cupcake is so cute!!! 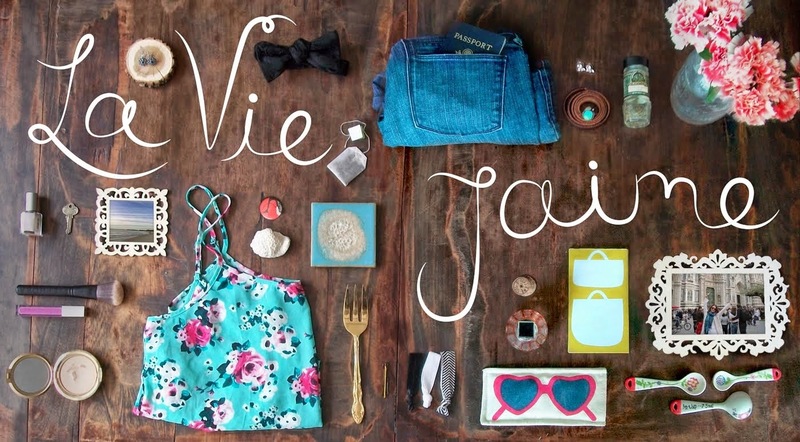 Always looking for baby shower inspiration as I have a lot of friends who will likely be there soon. Don't you just hate it when your blog format goes funky? !